Home resourceNewsletters Barely Average Financial Education in the U.S. It might not be surprising, but the United States isn’t close to the top when it comes to basic financial literacy skills among teenage students. The 2018 Program for International Student Assessment (PISA) survey found the U.S. 7th out of 15 countries surveyed on understanding essential financial concepts and risks. China, ranking number one, was followed by Belgium and Canada. At the bottom of the list were Chile, Brazil and Peru. Russia and Italy showed measurable gains in average scores, but Poland, Slovakia, Australia and Spain showed declines. 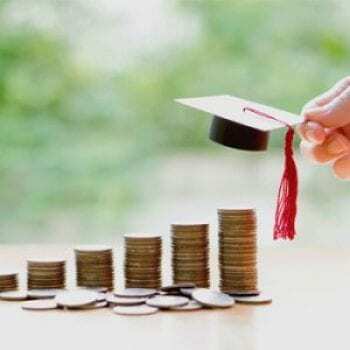 “The initial release of PISA findings (2012) revealed American teens were barely average when it comes to demonstrating a knowledge of financial skills. That measurement gave us a baseline to see room for growth or decline. It’s concerning with these latest findings to see that we haven’t moved the needle, and we still have significant work to do to provide meaningful access to teaching youth about money,” says Billy Hensley, Ph.D., senior director of education with the National Endowment for Financial Education (NEFE). There are simple ways to help students increase their understanding of personal finance and raise their score. Students who have a bank account scored 43 points higher than students without one. Going through basic processes to learn about money and gain the experience makes a big difference in student lives. Keeping an ongoing, open conversation about money in a household improves student’s understanding. Are you talking to your kids about money? A 2017 T. Rowe Price survey found 69% of parents are reluctant to talk to their children about money. In the same survey, only 23% of kids said their parents talk about money with them. It’s not a lecture, it’s an ongoing conversation. You don’t have to talk about figures, talk about values. Budgeting, paying down debt, saving, giving – these core concepts are going to have dramatically more effect than knowing your salary if you’re not inclined to share it with your kids. Set some family goals together and celebrate when you reach milestones. Tracking a specific goal makes it much easier to skip a stop for water ice when the money could go towards to trip or more major event. When everyone is on the same page and has the same goals, they’re much easier to achieve. We don’t have all of the answers and that’s okay! Learn together! We can’t rely on school to teach all of the personal financial concepts we’ll need throughout adulthood. Having a more visible, open, ongoing discussion is the single largest contributor to sound financial decision-making for your kids and might just help you make decisions you’re proud of too.